(888) 718-0766 begin_of_the_skype_highlighting (888) 718-0766 end_of_the_skype_highlighting in Fort Collins, Colorado, for custom t-shirts, sweatshirts, patches, and more. Dakota Apparel effectively eliminates the middleman by being both a full-service design studio and print house. All services are performed in-house—we never farm our work out to other companies. We strive to help your staff, team, or organization get noticed and look both great and united. Backed by more than 25 years of experience, our team always goes the extra mile to ensure your complete satisfaction. With superior experienced service, quality products, and low, low prices, why would you go anywhere else? Call us at (888) 718-0766 for custom T-shirts. We specialize in rush orders! 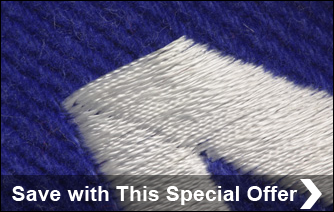 Contact us today at (888) 718-0766 in Fort Collins, Colorado, for custom t-shirts, sweatshirts, and patching, as well as other screen printing services.